Hello friends, Today I will tell you a method on how to change Administrator name on Windows 10. You can change your administrator name by following this method. It is the best way to change administrator name on PC/Laptop. You can even change the name without login to your PC. You don’t need to download any software to change administrator name on Windows 10. Do you know that you can smartly change administrator name on Windows 10? If you are saying no, then let me tell you that using this guide you will get to know that how you can do so. Changing administrator name in any Windows 10 system is very much easier. If you think that it is a very tuff task, then let me tell you that it is very much more comfortable as you are thinking. To change administrator name on Windows 10 you have to follow the below step by step quick guide only. If you are ready to rock then let’s head up to the further article and check how we can do so. No doubt that Windows 10 is having many amazing features. Where to change administrator name on Windows 10 is also the fantastic feature of Windows 10 system. Windows 10 user can quickly change the administrator name on the Windows 10 PC/Laptop. However, this method is fully reversible so that any user can do it blindly. Mostly, whenever we purchase a second-hand laptop, then we don’t know that how we can change administrator name on Windows 10 PC. So, in that case, you can do it after learning it. Well, to change administrator name on Windows 10 you have to open your Windows 10 PC’s control panel only. If you are thinking to change administrator name on Windows 10 PC, then this guide will help you. This is the guide which will only use the control panel of your Windows 10 system. It is the official way to change administrator name on Windows 10. Also, this is the quick guide so that you don’t have to waste your time on the steps. None of the software is required to change the administrator name on the Windows 10 PC/Laptop. Are to ready to change administrator name on Windows 10? 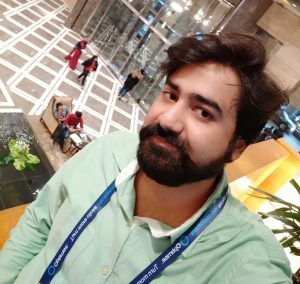 Let’s move on the quick method to learn that how we can change the administrator name on any Windows 10 PC. Go to the Contol panel on your Windows 10 system. Now, click on User Accounts and Family Safety. Then, click on User Accounts. Now, choose the administrator account whose name you want to change. After choosing, click on the Change your account name option to change the name of that administrator account. Note: Make sure that you open that administrator account whose name you want to change. In this manner, you can change administrator name on Windows 10 PC/Laptop. The method which I have discussed in this article is very quick and very easy to follow. Thus, any Windows 10 user an take help of this article to change administrator name on Windows 10 very quickly. Also, this is the official way which I have mentioned in the article. However, you can take help of any third party software to change the administrator name on any Windows 10 PC. But, this was the easiest and quick way to do so that is why I have shared this method with you guys. I hope using this guide you have succeeded to change administrator name on Windows 10. 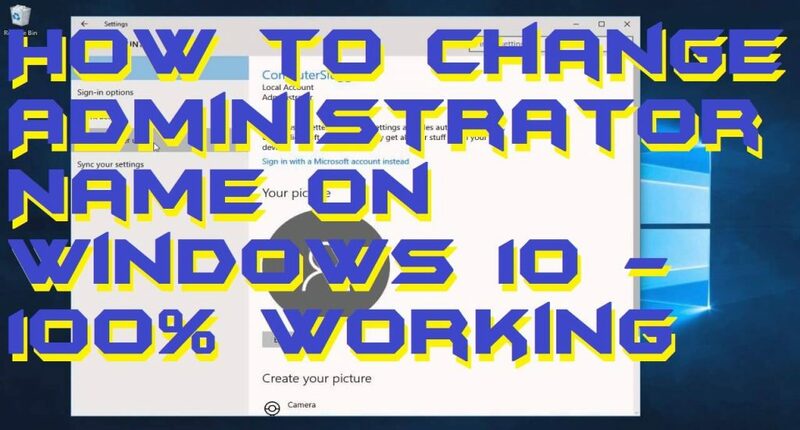 If you do so, then do share this article with your friends also and let them know about this fantastic way to change the administrator name on the Windows 10 system.